What Should You Know About Professional Karaoke Machines? Karaoke machines are categorized into those used by kids, those used at home, portable karaoke systems, and professional karaoke machines. They are differentiated based on their usage and purpose. Professional karaoke machines are the highest quality and most complex karaoke systems because they are used for big occasions and events in large venues. Such machines are usually heavy-duty and consist of high-powered speakers and high-quality receivers. Setting them up is generally done on a component-by-component basis, and the units may or may not come with integrated screens. The uniqueness of professional karaoke systems lies in their sheer power and versatility. Besides being excellent karaoke machines, they are capable of being used as speakers for movies, amplifiers for guitars, and public-address systems. As far as entertainment systems as concerned, modern practice is to have recording and playback features enabled on them. Consequently, most outdoor venues, pubs and bars run karaoke shows and contests with their recording-enabled karaoke systems. 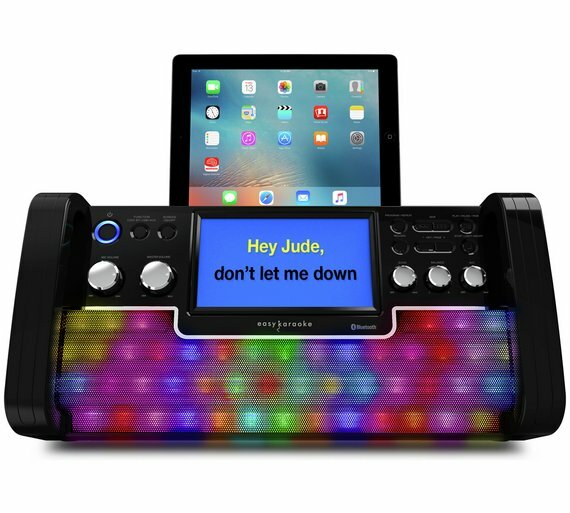 So, when you are shopping for a professional karaoke device, ensure that the machine has the required storage capacity and recording feature that will best suit your needs. That way, you can provide the desired level of entertainment you want without limitations. Professional karaoke systems serve as universal audio receivers, full-service public-address systems, instrument amplifiers, as well as being karaoke machines. Therefore, make a choice on the kind of karaoke system that will best serve your audio need(s) for the different venue(s) you have for your professional occasions. In addition to the various audio options that professional karaoke systems offer, many video input and output features are also present on karaoke machines. Such karaoke machines function perfectly with large audio-visual systems. As a result, when you are making the purchase, ensure you get a karaoke machine that is compatible with your televisions, projectors and monitors. Professional karaoke machines usually have lots of controls and buttons, so you should look out for the controls and buttons that are on the device before you buy it. Knowing the specific buttons you want (or need) will guide you in making a decision about which or which not to buy. Besides the controls, professional karaoke systems have different audio enhancement features that allow you to change the key of the songs and control the pitch of the song. Just like the “sharp” and “flat” keys on a piano, the “key-changing” feature on professional karaoke systems allow you to adjust the key of your voice synthetically. A result is an incredible number of hilarious and exciting output sound options that enhance your performance. In-built software in the machines also enables modulation of echoes and reverberations by automatically setting the optimum levels for the desired songs. Besides, dedicated treble and bass controls allow you to adjust the audio levels of the song by providing “equalizing” features.